PRE ORDER NOW: Shipping from begin April onwards! Largely developed in the field with spare parts, the ACAV variant of the M113 was often paired with the M48 Patton tank for patrols during the Vietnam War. Equipped with an armor pack and three machine guns, the ACAV M113 provided protection for infantry and ground support in skirmishes with enemy forces. 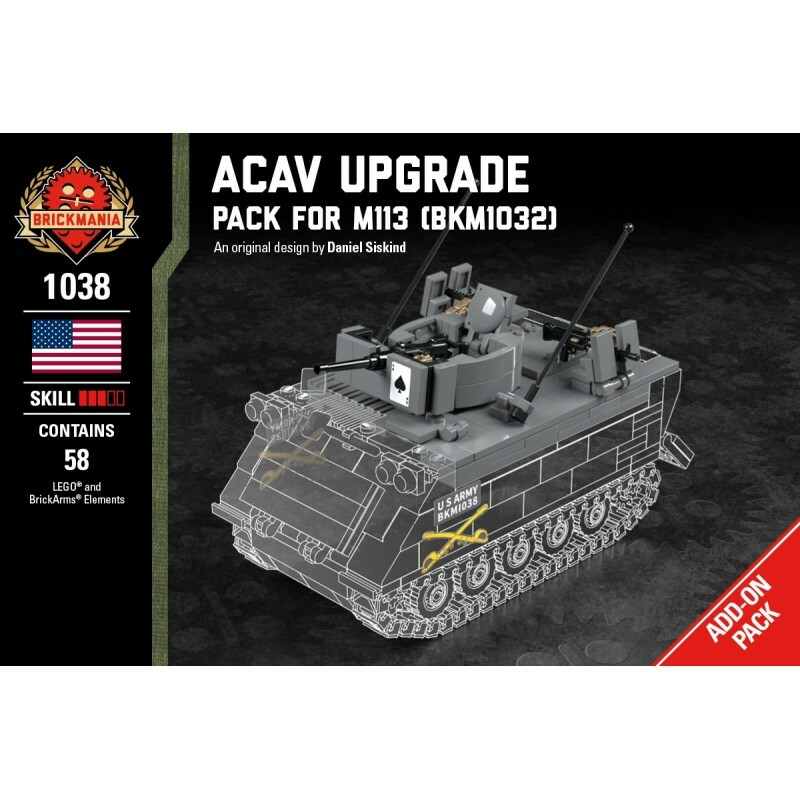 The M113 ACAV Add-On Pack is designed to copy the standard armored cavalry modification kit used by U.S. Army forces during the Vietnam War. 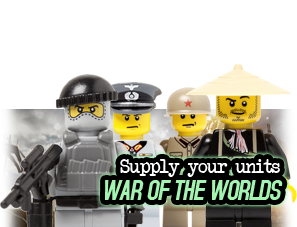 It contains pieces to rebuild the commander’s station with a rotating armored turret. 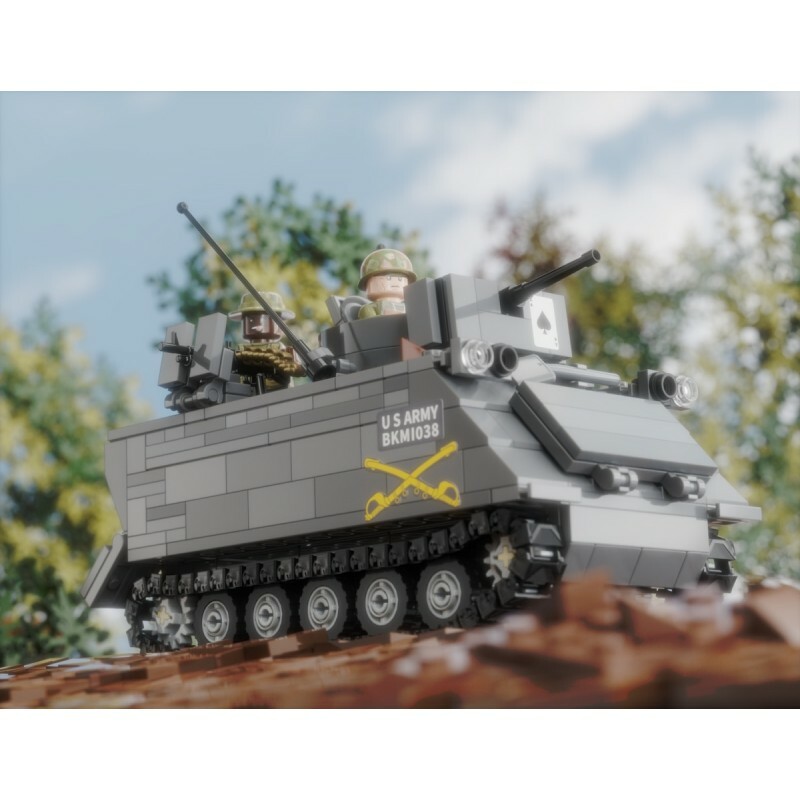 Also included are two additional BrickArms® M60 machine guns and LEGO® parts to build the associated gun shield for the rear hatch gunners. 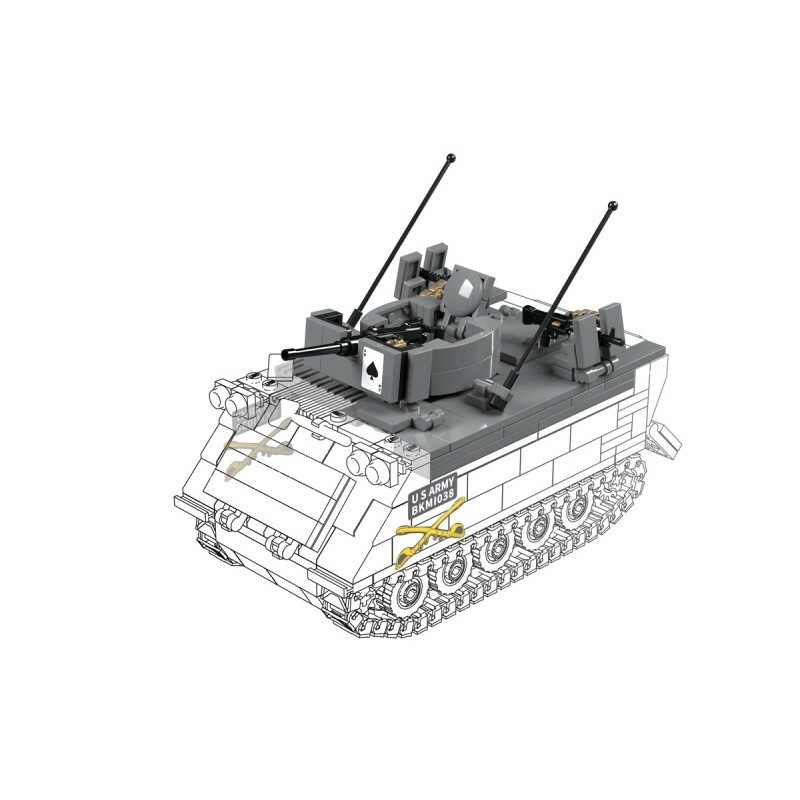 A sticker sheet is provided to add Armored Cavalry specific markings to the M113 hull and commander’s gun shield. 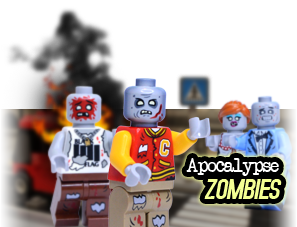 Pick up the ACAV minifigure pack (sold separately) while you’re at it.